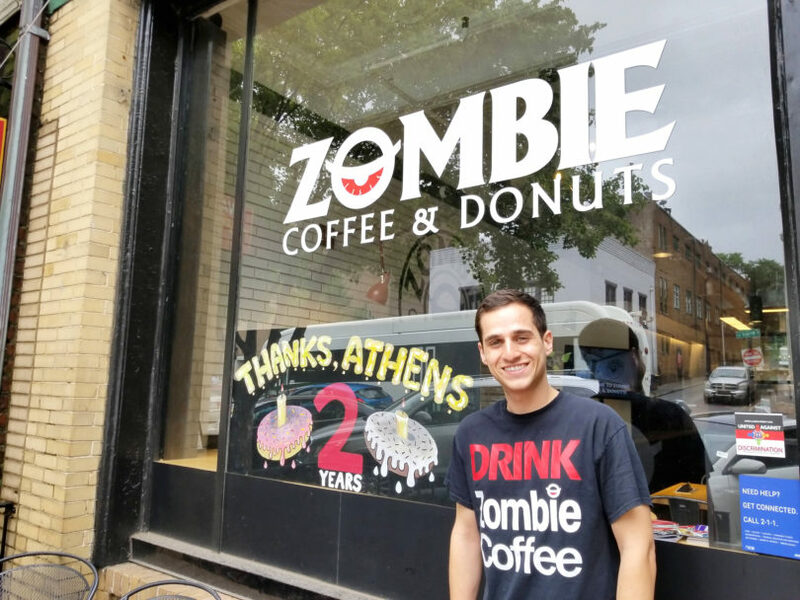 Tony Raffa founded Zombie Coffee and Donuts in 2016, the same year he graduated from UGA. Those people he was referring to were primarily professors at UGA’s Terry College of Business where Raffa was still a student. 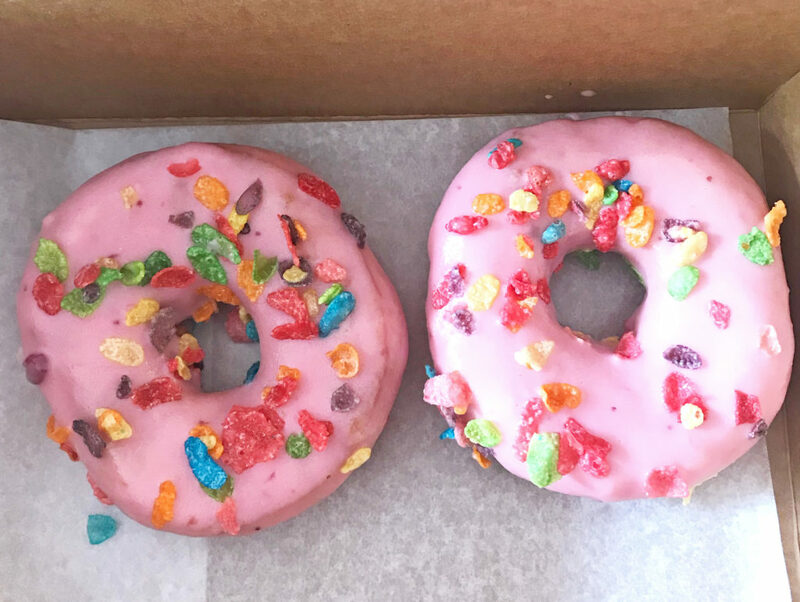 The pitch worked, and Zombie Coffee and Donuts was born in 2016, the same year Raffa graduated from UGA. Raffa also found help through UGA’s Next Top Entrepreneur contest, a competition held each year in April by the Terry College. Raffa didn’t win the contest, but being involved connected him with potential investors. Zombie just celebrated its two-year anniversary, so it’s safe to say that Raffa now has a better idea of what he’s doing. Even though Raffa was quite young when Zombie launched, this wasn’t his first business venture. In high school, he started a company with two friends building websites and fixing computers. During his first year at UGA, he had a small tech company called DSY. One of the company’s passion projects was a social app for cafes and bars called Bumpin’. The app’s purpose was to turn lingerers at tables into sales by encouraging people who had been in one place studying for a long time to buy another coffee by offering a coupon on Bumpin’. The type of business wasn’t ever as important to him, Raffa said, as the opportunity to prove the value of social giving through business. Each month, Zombie Coffee and Donuts features three local nonprofits, telling their stories on a wall in the shop. This month the local nonprofits are Samaritan Center for Counseling and Wellness, the UGA Filipino Student Association and the Clarke County Mentor Program. Customers are given a token to vote for their favorite, and at month’s end, the winner receives 5 percent of Zombie’s gross profits from that month. His parents inspired him to incorporate a giving model into his business. Both Raffa’s mother and father worked as accountants at PricewaterhouseCoopers in Washington, D.C. They left to start their own accounting shop that served only nonprofits. Raffa watched the business go from the two of them when he was small to its current size of 200-plus employees. Because Raffa felt so supported by the professors at UGA, he works hard to help student entrepreneurs whenever he can. 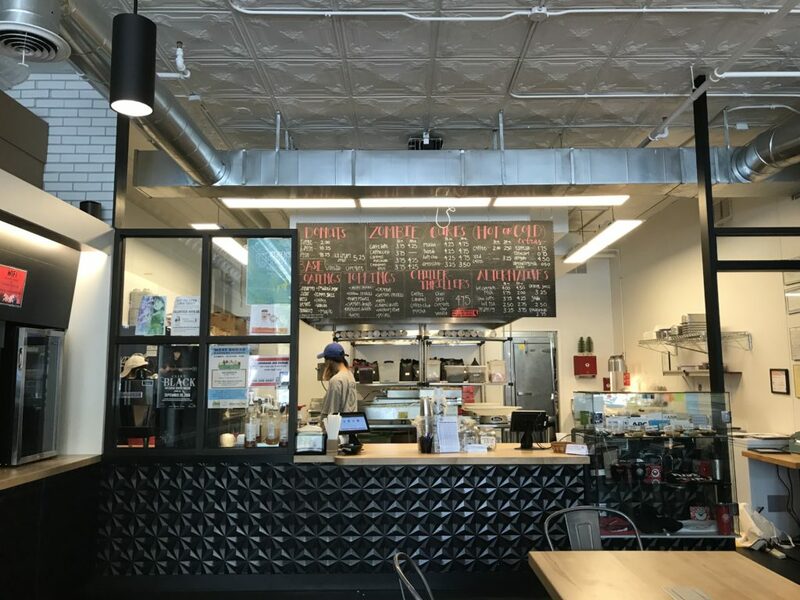 Several student-startup products are featured at Zombie, like Leaf it to Tea, Gather Kitchen and Nedza’s waffles. And he is open to giving advice or helping with projects whenever he can. Zombie now has two locations, one in Athens and one in Columbia, South Carolina, proving the concept that social giving and doughnuts are a viable combination.